During our first few months as a bootstrapped social media agency, we’ve been really careful in making investments we think will pay for themselves, and then some. One tool that's easily worth $99 a month from our budget is the “Pro” version of BuzzSumo, a platform that helps users “analyze what content performs best for any topic or competitor.” So far, it’s been indispensable in developing content strategies for both BlueWing and our clients. Put simply, BuzzSumo is a content marketing service that tracks both web content and shares across the major social media sites, including Facebook, Twitter, Pinterest, LinkedIn and Google+. It’s a foolproof way to identify the influencers, websites, and individual posts that are most popular within a niche. 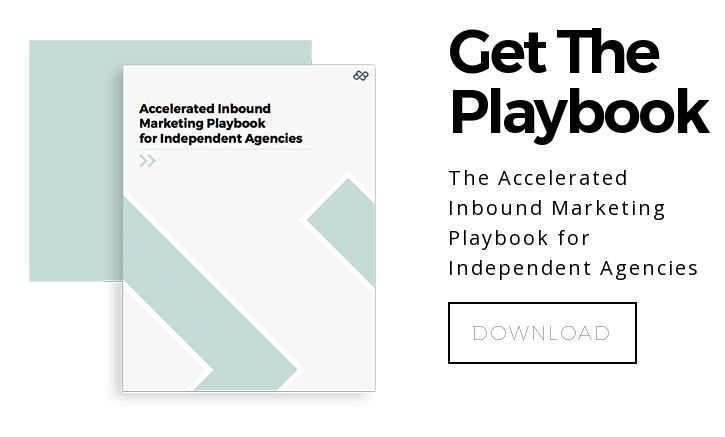 Armed with this information, publishers can produce their own content with the confidence that it will resonate with their target audience. Let’s dive into the different features and how we use them. A simple keyword search will pull up the most-shared posts, organized by total shares or by the number of shares on an individual social network. (Isolating social networks can be valuable. B2B companies, for example, should be more mindful of LinkedIn shares.) You can filter the results by date, language, country, content type, and more. For SEO experts, the ability to view the backlinks of each post will help plot a link-building strategy. 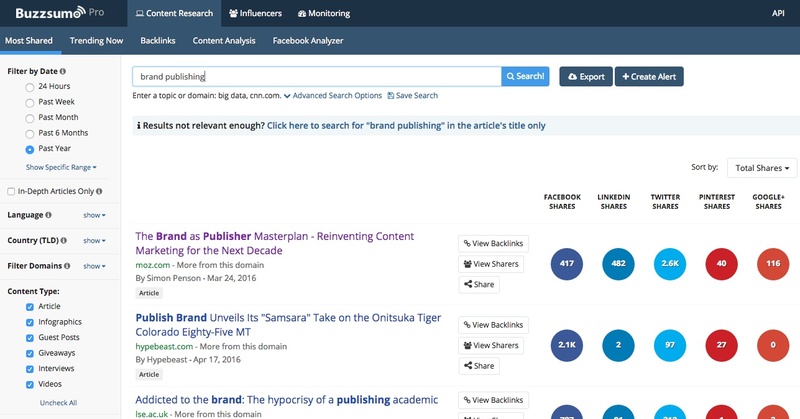 On the social media and PR side, BuzzSumo can also pull up the influencers who shared each post. What’s the best way to do this? Beyond broad keyword searches, BuzzSumo also allows you to view the most-shared posts from an individual website. First, put together a list of your company's competitors or other sites within your niche. Perform a search for each domain and export the results to a .CSV. To make this information actionable, clip the top 20 or so posts from each website’s spreadsheet and combine them into one master competitive content audit. Order them from the most shared to the least. This simple strategy is the most time-effective way to identify the content that's driving the most social shares within your niche, and even among your competitors. It’s a data-driven approach to developing ideas for your next blog posts. These are the people, companies, and brands who you want to know. There are a ton of ways to attack this list. Create a Twitter list of power users in your niche. Look out for blogs to comment on, increasing your visibility and SEO prowess. Identify places to submit guest blog posts. Identify guest bloggers to submit content to your own site. Create a list of people to connect with on LinkedIn or email. Find potential partners for long-term projects, like an e-book, webinar, or podcast. Curate articles for your own social media use. After mining through posts in your niche and among your competition, it’s time to turn BuzzSumo on yourself. Like in the competitive audit above, plug in your own domain to see the most-shared content on your site. Do a rigorous analysis of what you find to set yourself up for greater success with content development in the future. All audiences are different. In the beginning, a competitive analysis of your niche is a great starting point for your own content strategy. In the long run, however, your audience will develop its own set of preferences. (This is a good thing.) Understanding what posts perform best on your site—and developing related content that builds on it—is the best way to make sure you feel good the next time you check Google Analytics. Need help putting together your social media and content strategy? Shoot us a note at hello@bluewing.co.